Looking for some supreme quality SS I.D Tags in UAE? Well, you have come across the right company. Customer Delight Trading is one of the leading trading organization in Abu Dhabi, UAE, engaged in obtaining and supplying a wide array of SS I.D Tags in UAE. We obtain these highly efficient SS I.D Tags from renowned manufacturers from all over the world. These ties are produced in the high-tech facilities observing international standards. 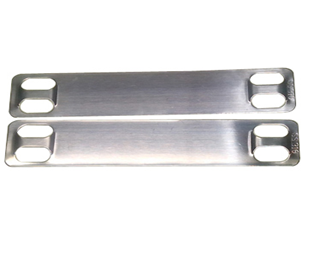 ID tags that we make available in the UAE markets are made of grade 316 stainless steel. We make them available in the wide range of packaging as per the demand of the clients. Clients can obtain even bulk orders from us at competitive prices. Owing to our wide distribution network, we are capable of making quick doorstep deliveries. Feel free to contact us for further details.